The Point is a family-owned convenience store located in Palacios, Texas. The store provides fishing tackle and bait, hunting and fishing licenses, lottery tickets, convenience grocery items as well as fresh Vietnamese and Mexican meals to go. 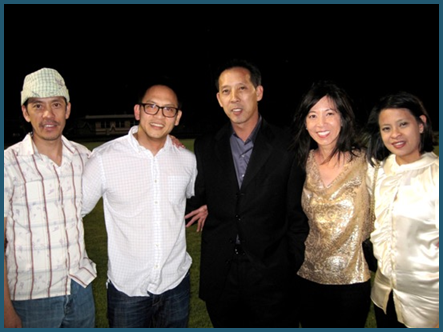 We, Bryan and Yen Tran, were born in Vietnam and migrated to the United States after the fall of Saigon in 1975. We were married in Palacios in 1981 and raised three daughters. After 34 years with Palacios Independent School District as a teacher aide, secretary aide and 7th grade math teacher, I recently retired and bought The Point. The reason is very personal to the family. The Point was owned and operated by Yen’s oldest brother, Tony, for eight years until he passed away suddenly of Pancreatic Cancer in 2011, at the age of 51. The Point was then sold and remained closed for nearly two years. We continued to feel that the store was part of our family’s history and we were sad to see it abandoned. And also to see an empty business located in such a beautiful part of Palacios. Bryan is an avid fisherman and he persuaded me, the reluctant business owner, to buy the store. After much praying, we decided it was the right decision to keep the store in the family. We also felt it would be good for our beloved town, Palacios, to have The Point reopen. 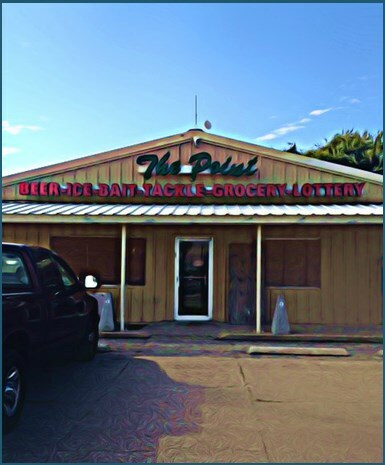 We are keeping the name ‘The Point’ and will continue to serve Palacios with fishing tackle and bait, convenience grocery items, fishing and hunting licenses and lottery tickets. We have also added a kitchen to serve freshly made food and specialty drinks to go. I will share my favorite Vietnamese foods using special recipes. In addition, The Point is also blessed to have a well-known Mexican cook and business woman, Maricela Ayala, in charge of the kitchen. Maricela will offer a full menu of her most requested foods at The Point. The store will be open from 5 a.m. to 10 p.m. every day. We have outdoor seating for you to enjoy the bay view. We are excited to serve the people of Palacios and appreciate your business and support. Please visit our Thank You page see the many people who helped us with this endeavor. Be sure to visit us soon!